How many British Airways Gold customers are there? A Head for Points reader was passing through Terminal 5 over Easter when he found a copy of the daily British Airways ‘Premium Brief’ document on the floor, so he sent me a photo of it! It is for a Saturday, so it is not representative of a normal business day. The proportions are interesting though. The long-haul load factor was a hugely impressive 96%, although that would have been skewed by holiday traffic as it was the Saturday after the schools broke up. Short-haul was over 80%. The proportions here are interesting. 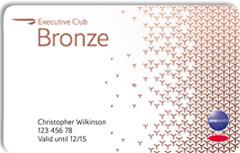 There are, obviously, substantially higher numbers of Bronze members compared to Silver and Gold. However, by definition, a Gold flies more than a Silver and a Silver flies more than a Bronze. This is why Gold card holders was the highest % of status passengers. It is also gives you a glimpse into the number of people using the British Airways lounges. On that particular Saturday, there were 5,400 people able to access the lounges via status. These could all bring a guest. There would also been oneworld status members who could use the lounges plus non-status passengers flying in Club World, Club Europe or First. It is very easy to see how 10,000 people could have passed through the British Airways lounges in Terminal 5 on that particular day. These numbers also given an insight into why priority boarding is now so chaotic. Allowing Bronze members to have Priority Boarding added about 40% to the number of people who were allowed to use it on the back of their status, which is why some flights have very few people on them who do not qualify for it! Can 'The Autograph Collection' finally make Marriott Rewards exciting?! Would be good to use the 96% load factor and seats available on that day (based on aircraft types) to work out total passengers and then from that the proportion of BA status holders compared to the total passengers. “In general” or “typically” maybe but certain not “by definition”. It is even possible to be a Blue member and fly more than a Gold.